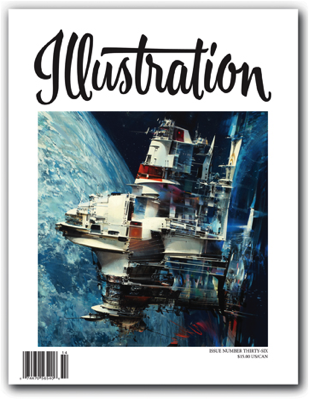 In this issue: The work of John Berkey, best known for his science fiction illustrations but also prolific in calendar art, movie posters, and much more. Next up: the mysterious and wonderful art of Rose O'Neill, best known for her Kewpie doll illustrations but renowned by other artists for her "monsters" series of dark images. 80 pages in full color. Sold out.